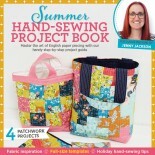 Discover how to English paper-piece and find four stunning EPP bag projects to sew on the go in your handy book from Jenny Jackson. Lynne Goldsworthy shares how to create a stunning Dresden chequerboard-style quilt, which would be ideal for using up scraps! 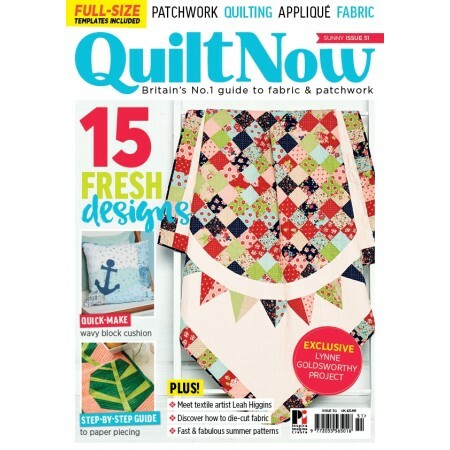 Katy Jones shows how to make a layer-cake friendly quilt using Moda’s Ombre range, with a bonus matching cushion. Meet Riley Blake designer Rachel Erickson and learn about her new Lancelot & Guinevere fabric collection. Look out for Amy Thomas’s adorable princess toy made from Guinevere! Practise your foundation paper piecing skills with a charming botanical runner from Collette Howie. Editor Bethany meets textile artist Leah Higgins to explore her latest exhibition. Use curved blocks to recreate beachy waves on Michelle Roberts reversible cushion and follow the shape of a swimming pool to make Lou Orth’s unique quilt design. 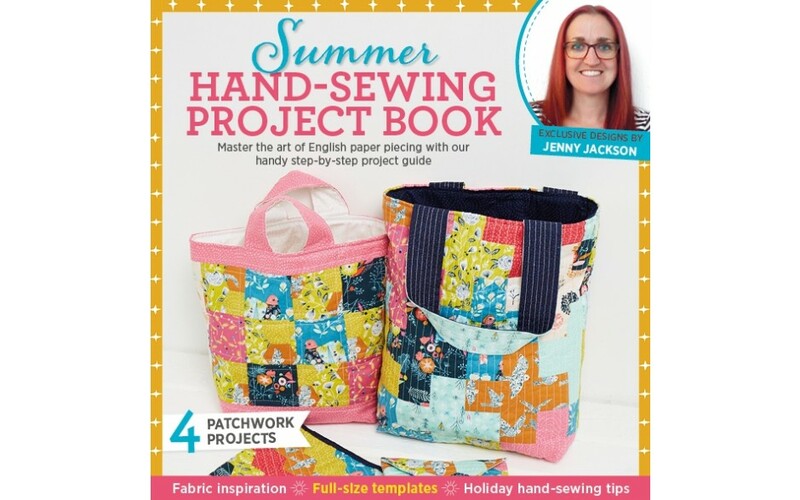 We chat to author Janet Goddard about her new quilting book and Janet shares a gorgeous beginner-friendly quilt project. 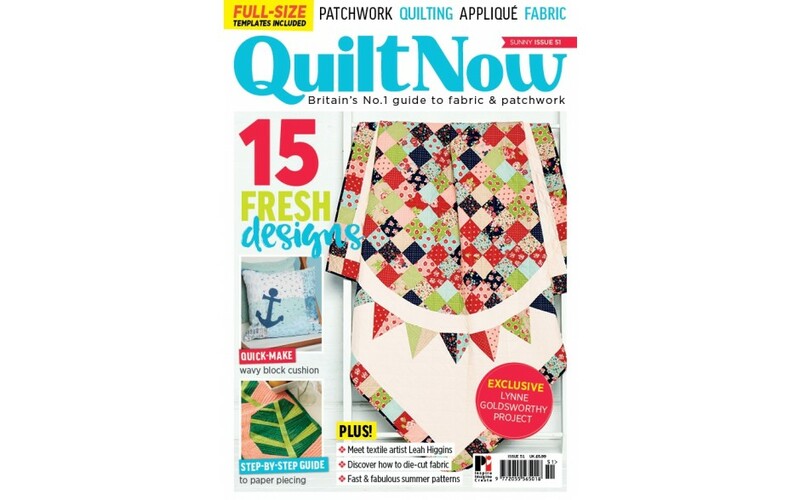 Discover how to use die-cutting to speed up your cutting, improve your piecing accuracy and make a bold sunflower cushion.